Hello. I am Calla Michalski, and I am a Type 1 Diabetic. I have been suffering from this disease since I was just 10 years old. I started this blog in 2012 as a Junior in college because I wanted my voice to be hear (or read, I guess). One of my professors had us create videos and write papers on a subject of choice; Mine was Type One Diabetes. 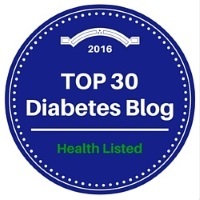 The blog grew into me sharing many experiences of living with Type One Diabetes (T1D) along with stories of how I have overcome various struggles that T1D has thrown at me. 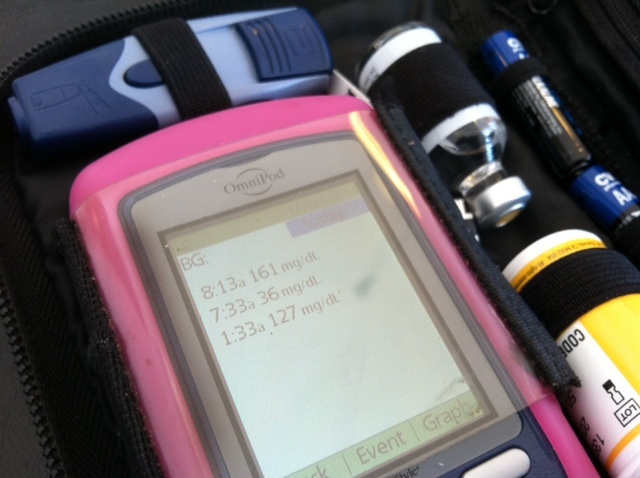 I try to avoid having high and low blood sugars, but that is not always the case! I am just a typical Type One Diabetic, trying to make it through another normal day. A lot has changed in my life since this blog was started. My boyfriend and I moved in together. We got a dog. I graduated college. We got engaged, and then married. We bought a house, and got another dog. We are looking forward to children in our future. Maintaining extremely tight control on my diabetes is the only thing currently holding us back from that future. In 1998, I went to the doctor with my mom for my 5th grade check-up. Shortly after talking to him, the doctor told her that my blood sugar level was slightly elevated. He advised her to call my dad, get me to eat some sugar and then go to the emergency room. I remember stopping at a small little diner, eating the biggest piece of cheesecake in my life, and then going to the hospital. At that point, I was just happy to have my parents together, not arguing, and not going to school. The doctors were frantically waiting for us to arrive. We casually walked in. I was put in the ER and remember hearing people next to me screaming after just getting into a car accident. The one of their friends didn’t make it. I wondered, why I am I here? What could be so wrong with me that I am in here next to all of this? “Have you been drinking a lot?” — Now that you mention it, yes. “Have you been going to the bathroom a lot?” — I’ve been waking up 4-5 times per night, but didn’t think anything of it. Then, the doctor asked me if I knew what “diabetes” was? I remember responding, “I’ve heard of it, but I don’t know…” He started to explain to me and my parents that my blood sugar level was 630 mg/dL. I had no idea what that meant. I was then told I would have to take insulin shots multiple times per day and check my blood sugar before each meal for the rest of my life. In 2006, I started on the OmniPod Insulin Pump. It was, and still currently is, the only insulin pump without any tubes or wires. The meter reads my blood sugar level and wirelessly communicates with the pump/pod attached to my body to give me the appropriate amount of insulin. I change the pump/pod every 3 days. There is a small tube inside of the pump/pod that constantly gives me insulin. I bolus, or give myself a boost of insulin, each time before I eat in order to avoid a high blood sugar. If I don’t eat or snack regularly, I get low blood sugars. 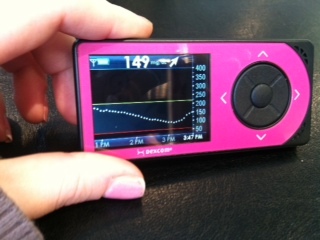 My insulin pump gives me freedom and I no longer need to take up to 6 shots per day! Click here to watch a video on how to change my OmniPod Insulin Pump. 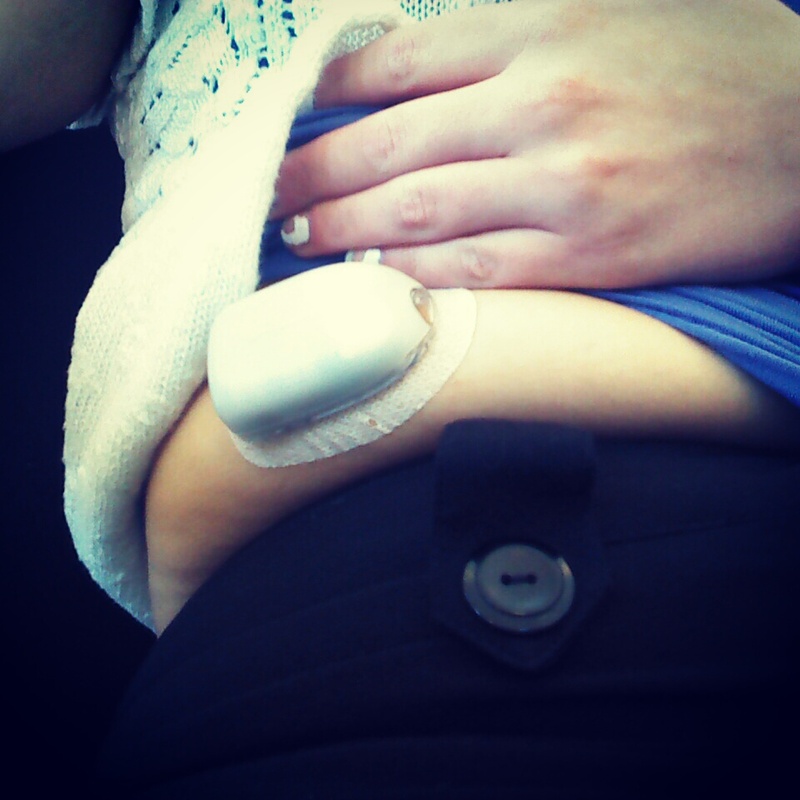 In 2012, I started using the Dexcom Continuous Glucose Monitor (CGM). The receiver part looks like an old iPod turned sideways, but instead of playing music, it shows me a graph of where my blood sugars have been, where they are approximately at now, and in which direction they are headed. I wear a small sensor and transmitter on a fatty tissue area of my body. The sensor is the sticky part that adheres to my body. The sensors get changed approximately every 7 days, even though I have worn it quite a bit longer. The transmitter is the grey part that sticks out and looks like a battery. The transmitter transmits my blood sugars wirelessly to the receiver. The Dexcom has become quite the little lifesaver as it has woken me (and my husband) up numerous times throughout the night. It has helped me avoid many high and low blood sugars. It has also brought my hemoglobin a1C number down significantly. Click here to see how I change my Dexcom CGM sensor and transmitter. My husband is a great big part of my life, and has helped me to gain better control of my diabetes. He wakes me up every morning to make sure I check my blood sugars, and is on top of my case when I eat things I shouldn’t be eating. In this blog, you may see me refer to him as my boyfriend or fiancé (as of 5/28/13), but that is simply because that particular post was before we were married (as of 8/8/14). They are all the same guy, I swear! I hope you join me in raising T1D awareness! I love hearing stories from my readers about challenges they too encounter in managing Type One Diabetes. Hi, My son was diagnosed about 3 years ago as a Type 1 at the age of 14. He is starting to have trouble getting blood from pricking his finger to test. He says his hands are getting though. Have you had this problem? If so what are your recommendations? I wanted to thank you for sharing your story. It has helped me a lot with my school project. I saw that you used both a shot and a pump. I was wondering do you prefer the pump or the shots to receive your insulin? I prefer my insulin pump (the OmniPod), but not any of the other pumps. I was on shots from the time I was diagnosed until age 18. I refused to go on a pump because I didn’t want to have wires hanging down or a beeper looking device attached to my belt. When a new endo suggested OmniPod, I was ecstatic! It took some getting used to (had to wear looser clothes, had to learn where to place it so I wouldn’t rip it off etc.) My diabetes, blood sugars and a1C numbers have greatly gotten better since being on the pump. It’s much easier to give multiple small doses of insulin with the pump, and I no longer need to give myself 4-6 shots per day! Are you a diabetic? If not, what made you start this project? Email me at iamatype1diabetic@gmail.com if you have any other questions. I chose to start this project because my brother is a diabetic. Thank you for your sharing your story. Hi how many times do you test your sugars a day? I have been testing roughly 6-8 times per day. Typically before I eat anything, once in the middle of the night, first thing in the morning, and right before I go to bed, and of course if I feel like my blood sugar is high/low. With my CGM, I test fall less often than I was previously… which was anywhere from 10-12 times per day. Hello nice to read your experience. i have had Type one for 20 years and decided to start getting a pump. i live in France and I don’t know yet if we have Omnipod but it looks just great, I wish i can get it. Here Dexcom isn’t supported by or healthcare so as it is too expensive I know no one having this yet. How sad it is, this woul change my life. Thanks for sharing your experience. My son has the Medtronic rebel pump and CGM that goes talks to the pump. He really likes it.